Let me say right off the bat: this is not a great recipe. It has the potential to be a great recipe–I really wanted it to be a great recipe–but as it stands right now, it’s in need of some serious tweaking. 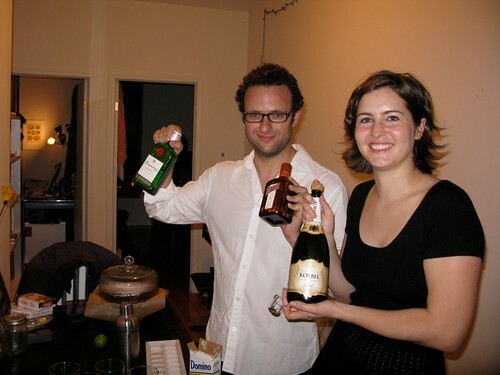 And that tweaking may just be the simple addition of a Tablespoon of olive oil, but I’m getting ahead of myself. I wanted a bar snacky kind of snack to go nicely with the drink, hence the roasted chickpeas. 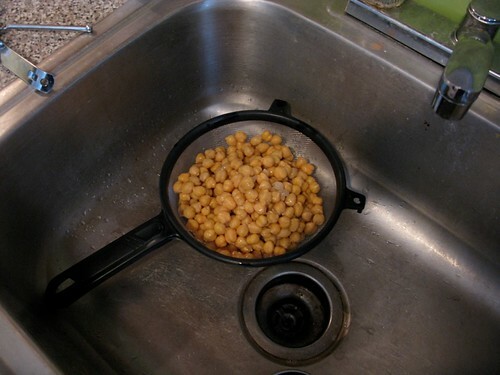 And making roasted chickpeas couldn’t be easier. Are you ready? 3. Pat the chickpeas very dry! 5. Pop into the oven. 7. 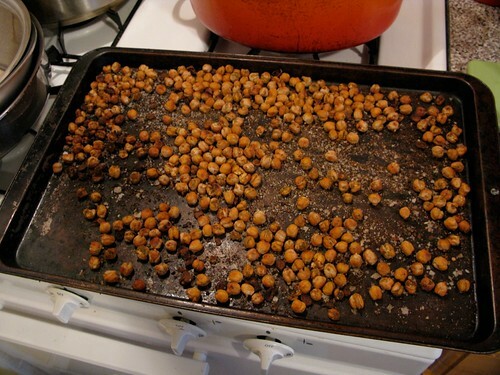 40 minutes later, you will have roasted chickpeas! 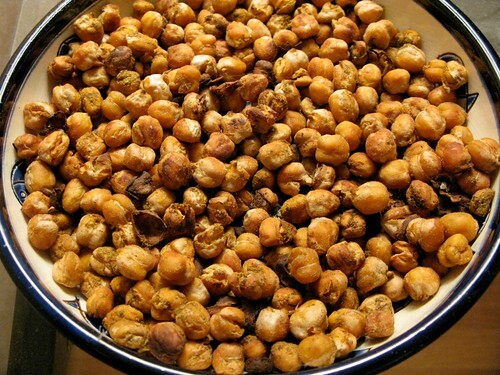 On the good side, these chickpeas–with no olive oil–were delightfully fat free, relatively healthy, and crunchy (except for the few that were mealy and undercooked). On the bad side, they were kind of bland and sad and chalky and, really, not that good. So: to improve them, I’d add olive oil, and follow some of these other recipes to see if they’re better. But, if it encourages you at all, despite their chalky blandness, the entire bowl was gone by the time we were ready to eat dinner. And most people admitted not loving them, but liked them well enough. And you don’t have to love everything you eat, do you? I mean, it’s not like you love everyone you sleep with, right? What?! Where did that come from!? 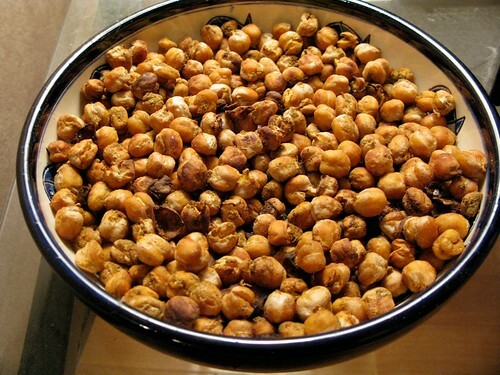 Ok, here’s a bunch of other (maybe better) roasted chickpea recipes.